Purchase $100 of PANDORA jewelry, receive a FREE leather bracelet valued up to $55. Upgrades available on ALL bracelet styles. Select from the NEW Light Blue or Honeysuckle Pink or any of the single, double or triple leather bracelets in stock for your FREE leather bracelet. Or, pay the difference to upgrade to these or any of the other charm bracelets: Classic Barrel Clasp, Heart Clasp, Smooth Clasp and Bangle, Pave Clasps, PANDORA Rose Clasp, Disney Mickey bracelet, as well as Gold and Silver and Gold bracelets. Essence bracelets too! * Free Leather bracelet (up to $55 USD retail value). While supplies last at participating retailers. Excludes gift card purchase. Upgrades available on all bracelet styles, see store associate for more details. Bracelet selection may vary by store. Charms sold separately. This promotion is NOT available online, however, you can expedite your phone order by pre-selecting the qualified purchase. Please be available with your FREE bracelet preference and payment information to finalize your order. 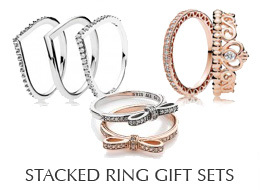 Your order must be finalized with a PANDORA Specialists DURING the event to be complete and valid.